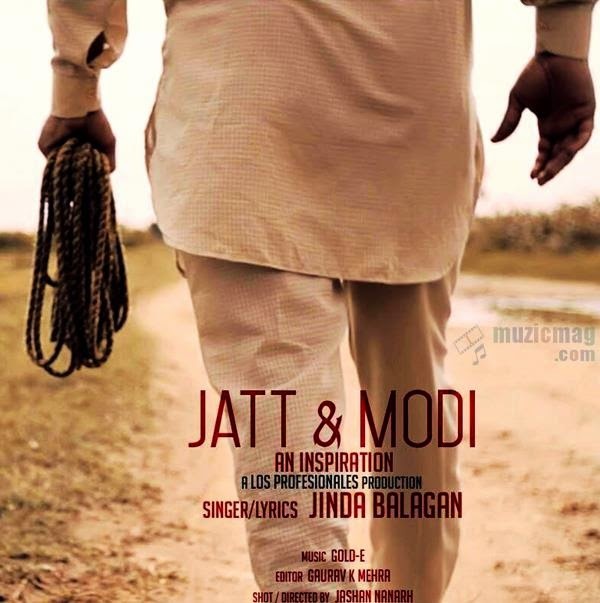 Jatt and Modi is a social satirical song written and sung by new talent Jinda Balagan. Music of the song is produced by Gold-E. Video of Jatt and Modi is directed by Jashan Nanarh. Jatt and Modi is a social satirical song written and sung by new talent Jinda Balagan. Music of the song is produced by Gold-E and is ready to be released on Speed Records official music channel. Song depicts the problems being faced by Indian Farmers and negligence of government towards them. Video of Jatt and Modi is directed by Jashan Nanarh - A Talented Director known for his exceptional experiments in song videos. Songs directed by Jashan are more a film in itself than just a song. Hope the audience will appreciate his work in this video also just like his previous works -- Dhokha feat Jimmy and Insomnia - Sippy Gill. ♫ Stay Tuned for Exclusive Jatt and Modi Lyrics & Official Music Video. Stay Tuned! !